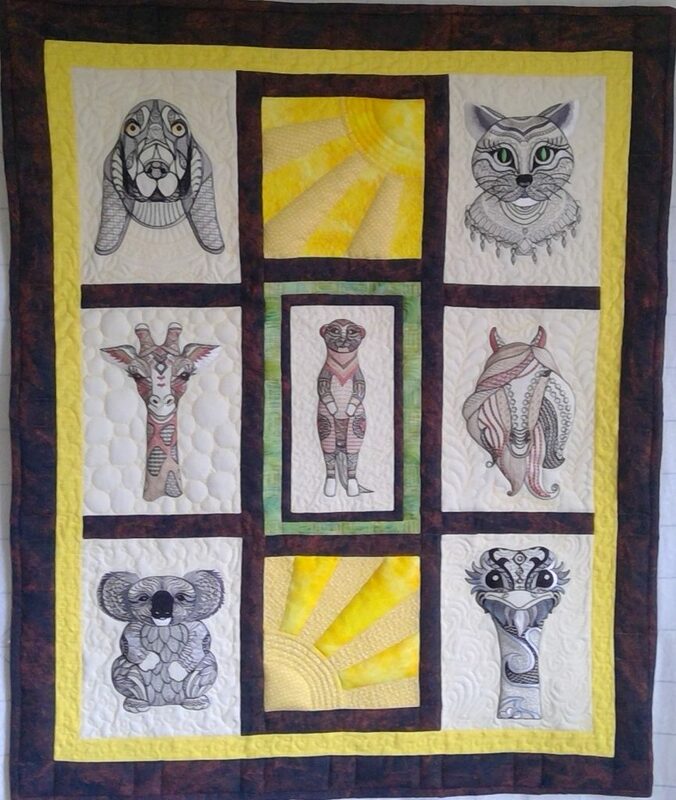 From Cindy: “I thought you might like to see “shades of tangled animals.”I was thinking of entering it in a quilt contest. I don’t know which one, but I would give credit to BFC for the embroidery art. It certainly would be OK Cindy! I love this quilt. The animals really show up so well with the colors chosen. Cindy’s other project is one Of Ching Chous pictures. 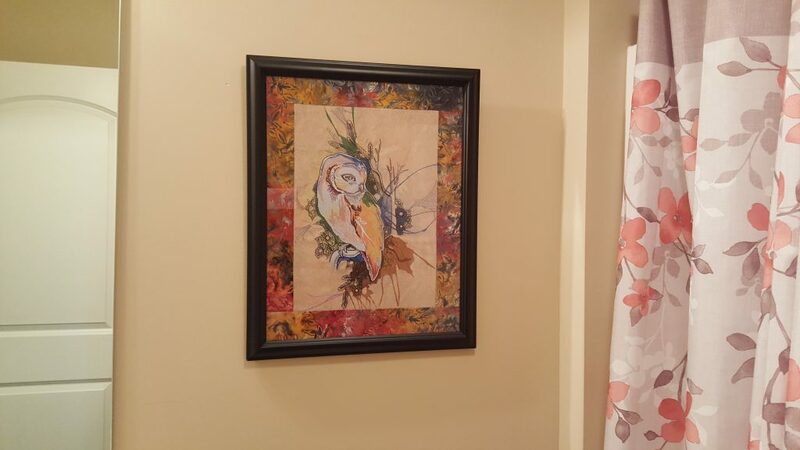 A beautiful addition to the room. The border sashing goes so well with the embroidery. Next Next post: An unusual, but beautiful use for some designs!